Tune up your PC for the peak performance! Boost Speed 9 was available as a giveaway on February 2, 2018! DIAGNOSES your Windows system. Since diagnosis is half the cure. CLEANS out junk files. A clean PC means better efficiency. RESTORES system stability. Errors and crashes are a thing of the past. IMPROVES computer speed. Everything on your PC works faster. PROTECTS your privacy. Your system is more secure from hackers. AUTOMATES system maintenance. Set-and-forget scheduling convenience. GUARDS smooth performance. Your PC stays fast and stable for all your tasks. How would you improve Boost Speed 9? 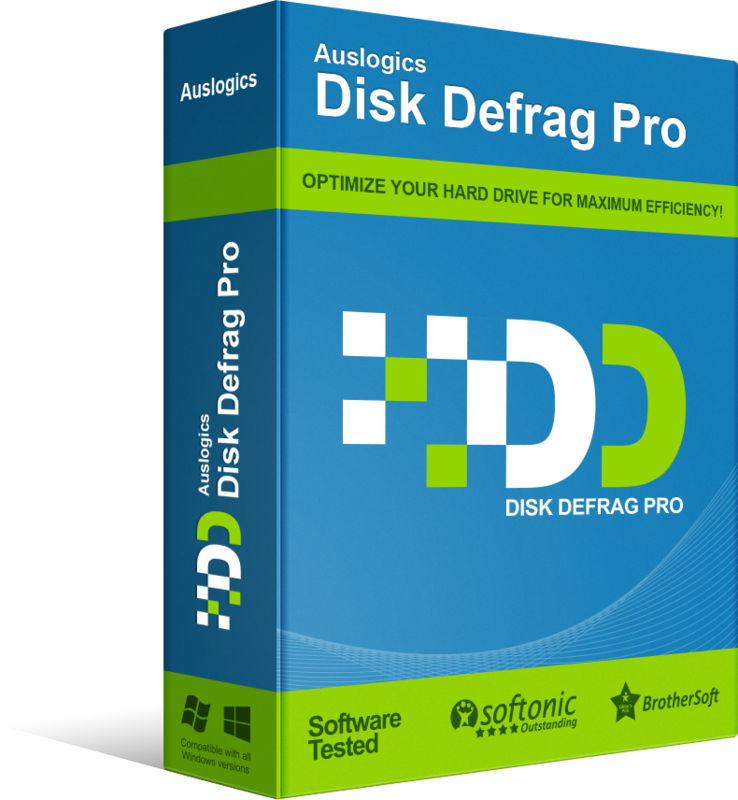 Get your drives optimized for top speed and maximum efficiency with this powerful program's smart algorithms and boot-time defrag technology. 1. Restore the system state from a copy from before the program was installed. If you do not have a copy - it's gone. 2. When installing the program, disconnect access to the Internet. 3. before you turn on the Internet access again, block the program on the firewall. Min, simple solution: 1. Restore the system state from a copy from before the program was installed. If you do not have a copy - it's gone. 2. When installing the program, disconnect access to the Internet. 3. before you turn on the Internet access again, block the program on the firewall. Enjoy! Min, I would suggest you enjoy Boostspeed 9 for the 345 days. Then when the period is over probably Boostspeed 11 will be out and you may find Boostspeed 10 available free for 345 days. It has an integrated driver update too...i guess that requires a separate purchase/license key. Installed the program on Win7 64 bit....have a question though...it pops up an update for a new version...should i proceed...as i have lost a few softwares with GAOTD where i did not pay attention and an update ended up asking me to buy a paid version, It has an integrated driver update too...i guess that requires a separate purchase/license key. Ashok, No. Do not upgrade to a new version or you will have to pay for a license. Ignore the pop-up. Use the software for a year. By the time the year is up you may find that Boostspeed 10 is available free for a year when Boostspeed 11 comes out. I have used this software before and It was ok, never caused me any problems. I don't agree with many of the comments here. I do computer repair and many times i have checked a system with ccleaner and it might take 30 minutes to clean up the unused clutter, I have seen this clear up a slow computer. But who am i to inject my thoughts here. I know what works and what don't. Ram is perhaps the most sufficent way to speed your system, but it can be an expensive procedure. lets say you have 2 slots for your ram and you have 2 two gigs of ram in each, which makes you system with 4 gigs of ram. So if you purchase a 4 gig you have to take out one of the 2 gigs, to install the 4 gigs you purchased. In theory you are only gaining 2 gigs as you had to remove a 2 to install a 4 which makes you have 6 gigs. Not free by no means. I expect to get about 50 thumbs down . I quit responding here some time ago as it is though I am an idiot, I am an idiot that understands computers . So lets have the thumbs down as most people don't want to hear from someone that speaks with authority, and knows software, and hardware, I have known of many people that commented here and was treated terrible from others. William Carter, yes. I recommend CCleaner. Been using it for probably 20-years. Does everything you need to clear the crap from your PC. The ONLY thing that will speed up you computer is EXTRA RAM! The ONLY thing that will speed up you computer is EXTRA RAM! Nuff said. John, Manual cleaning of junk files and stopping programs from starting up automatically that don't need to. Doing this will help to speed up one's computer as well as buying more ram. There are 3 pieces of software I belief in the reliability of and they have been around forever. CCleaner, Glary's Utilities and Wise Care 365. They will never do anything to your computer, you'll regret later. All of them are rock solid performers and offer a free version. Glary's and Wise Care do have a paid Pro software that's offer on GOTD through the year. Both have extra handy features that are worth having. They do a great job of cleaning the trash out without claiming to turn your tired old computer into a brand new Corvette. If your looking for speed, buy some hardware. A new cpu, motherboard, lots of ram and a TB digital hard drive. Now you have speed and any other claims are snake oil. Thanks to GOTD for the offer. I clicked on unused Application files and in broken English it states" Application files you have not used for" and the sentence ends. It stated application logs (2 files) and would save me 4.38KB is disk saving. Big deal. I clicked on Temporary Files and it states "redundant files of temporary nature" and it would save me 29MB is savings. I'm guessing that would be deleting the files under C:\username\AppData\local\temp folder. This application does not compare to CCleaner. I have used CCleaner & Wise Disk Cleaner for years, so I'm uninstalling BoostSpeed immediately and keeping with my trusted applications. Ok, installed fine of Windows 7 64-bit. It began an instant stand and told me my performance was poor. I clicked on details and there were 338 Internet Explorer temporary Internet files. Well, any cleaner I have used identifies these. 29.54 MBs can be saved I clicked on unused Application files and in broken English it states" Application files you have not used for" and the sentence ends. It stated application logs (2 files) and would save me 4.38KB is disk saving. Big deal. I clicked on Temporary Files and it states "redundant files of temporary nature" and it would save me 29MB is savings. I'm guessing that would be deleting the files under C:\username\AppData\local\temp folder. This application does not compare to CCleaner. I have used CCleaner & Wise Disk Cleaner for years, so I'm uninstalling BoostSpeed immediately and keeping with my trusted applications. Cleaning Temp files will never speed up any OS, they get re-created the moment you start new windows session. Monkey around the start up menu will make some software not function properly, cleaning the registry can create future problems if you do not know what you are deleting and when windows update your computer, everything will be re-set to the new specs and delete the auslogics setups. partially true, I've worked on people's computers that had over 15GB of useless files. It is true that Many files are re-created at system startup, mainly file extensions and the Bags/MRU entries in the registry. I think their statement about this application is a little overblown. Marr, partially true, I've worked on people's computers that had over 15GB of useless files. It is true that Many files are re-created at system startup, mainly file extensions and the Bags/MRU entries in the registry. I think their statement about this application is a little overblown. Not always true besides, if you never clean out your Temp folder, you can acquire gigabytes of garbage over time so what I do is create a desktop shortcut to the Temp folder, launch it and, periodically, delete all the contents in it. You will always have a couple or a few small files you can't delete because a running program is preventing deletion. Marr, Not always true besides, if you never clean out your Temp folder, you can acquire gigabytes of garbage over time so what I do is create a desktop shortcut to the Temp folder, launch it and, periodically, delete all the contents in it. You will always have a couple or a few small files you can't delete because a running program is preventing deletion. Downloaded and installed on Win 7 pro 64 with no problems at all. Tried it out can see a difference with my own eyes and am impressed. This is a definite keeper. Nice! Thanks GAOTD and Auslogics will be looking for Auslogics tools from now on for matters pertaining to PC maint. I used Process Lasso. It is the traffic cop for system processes. Larry Watkins, I use Process Lasso also this is entirely different. It's a great maint. tool. Hi, thanks you all for indepth analysis. From my experience I backup my files and reinstall OS from time to time. After that restore my files its the best I see. Ben Gik, Care to share your backup/restore process? I have a workhorse machine that has been through Win7/Win10, and I *haven't* yet dome this because I haven't found a process that I'm confident wouldn't lead to missed pieces upon reinstall. If you backup all your files and re-install the OS, you have to re-install all the non-Microsoft programs that you've installed. 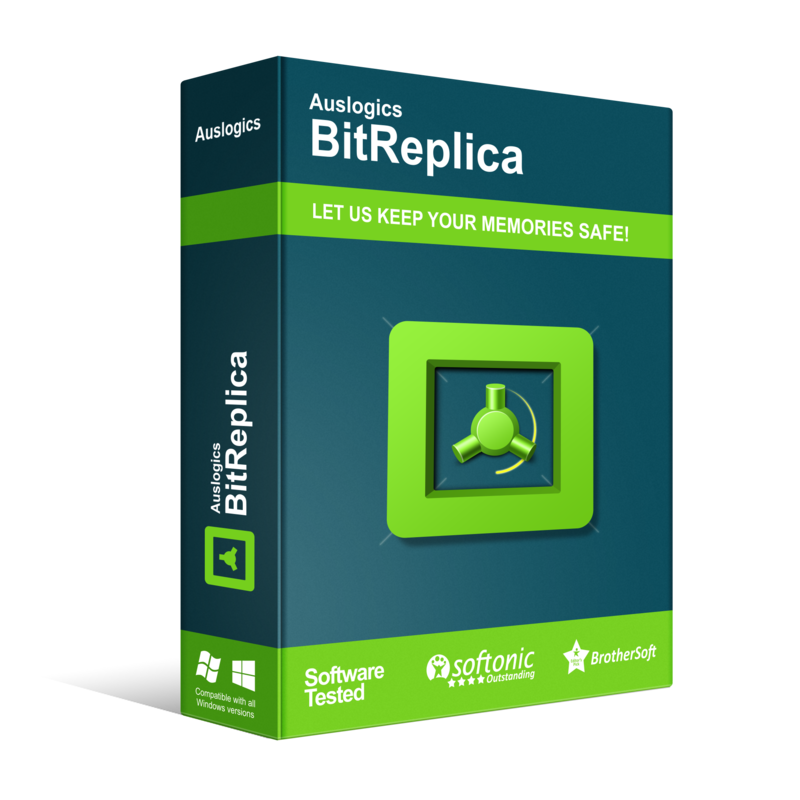 Backing up files and re-installing removes all setting for your software in the registry. Ben Gik, If you backup all your files and re-install the OS, you have to re-install all the non-Microsoft programs that you've installed. Backing up files and re-installing removes all setting for your software in the registry. Dan, I use Paragon Free backup/restore. Have had to restore a few times because of problems. It has worked flawlessly. How to boost your PC's speed: Reinstall OS, Add maximum RAM, Add a Solid State HD, upgrade your CPU if possible. Be very very careful with this program . My boot speed was 35 seconds yesterday before installing this program and running it once its now 103 seconds. I have fully un-installed it but boot speed remains 103 secs. Wish I had never installed this . John, John, Windows 10 ? Creator Updated? Go to your control panel, advanced system settings, again click on the advanced tab, and at the bottom of the advanced tab is Start-up and recovery. Click that.. It was probably a Windows update, or an Intel Microcode update that changed, not the software. Hope this helps. John, , I do apologise for my advice not being much help, I did try. What it sounds like from your description is perhaps BIOS related then? If its hanging or waiting for 103 seconds before even trying to load its partition, there must be something in the BIOS telling it too. Especially if its not Windows. Oh, and the microcode of your Processor is updated unfortunately without you knowing about it. Either through the Driver. Or Windows, will force a Microcode update with out telling you about it too. You know, Security and all.. This is a classic example as to why you should create a restore point before installing new programs. John, This is a classic example as to why you should create a restore point before installing new programs. John, never do install of new software before you do restore point back up, it happen to me too, Auslogics did something to the registry, after restoring it back, my computer ran without problem. Richard Sebire, I think your "..GUARDS smooth performance. Your PC stays fast and stable for all your tasks...", may be the problem, it interferes with some MB drivers. You also said: " Or Windows, will force a Microcode update with out telling you about it too. ". If that was the problem, please explain why that would slow down a computer. Richard Sebire, I think your "..GUARDS smooth performance. Your PC stays fast and stable for all your tasks...", may be the problem, it interferes with some MB drivers. You also said: " Or Windows, will force a Microcode update with out telling you about it too. ". If that was the problem, please explain why that would slow down a computer. I haven’t downloaded and installed today’s software. I’ve been regularly frequenting here since the early 90’s. Occasionally I will use something from here. But I currently have way too much legally purchased software, for one of these freebies to actually be any use. I still log on each day in case a hex editor comes up. I remember them doing Hex Editor Neo here once I’m sure. Hint, hint GOTD Mods.. I recently was cyber attacked, and have since been on a mission to lock down my system and network. Did you see the £500 million get stolen in Japan this week? It’s seems the code is injected/hooked either by google or via google. But every video played on YouTube last weekend was used to farm bitcoin, and create the attack. If Jim is, as he’s saying, not had any updates from Windows in two weeks, and or any new BIOS revision from his vendor. And had actually watched YouTube at the weekend, say good bye to securing your system ever after. The motherboard vendors have too either issue everyone another revision with the exploits “meltdown” or “spectre” removed from the BIOS, or as it seems, as they are not, Microsoft is having to push the microcode via Windows. And as a change in start up time, can indicate it’s been installed. The problem with the Unicode is the vendors are not releasing any updated version of they’re own Unicode, so Microsoft will have to do it. Again, and again, and again..
As the actual exploit is physically in the CPU, and each Microcode patch to your BIOS that Microsoft pushes, doesn’t actually fix the exploit. It’s more like saying here I am, than actually fixing it. When it decides to attack. If only taking the battery out of the motherboard and shorting it would solve this. The only real fix? Buy another Computer, perhaps when the actual hardware is safe too, in a year or two. They did a piece on digital foundry a while back, bing digitalfoundry meltdown spectre patch analysis. On the severs (the internet) since the patch’s have been pushed, they are experience an extra 70% in work load. So they’ve had to treble server rental costs this year to try and offset it. On patched home PC’s at present it’s only around 5 frames per second in games slower. But each patch will make it slower and slower, let alone more vulnerable. It’s noticable..
My next PC build will only be using Arm components. As Intel and AMD are totally powerless here. They knew about the exploit for years, but as it was found by independent tinkerers, the CEO of intel sold all his stock in 1 day and legged it. They told a few companies they where selling them hacked chips first, like the Big Chinese OEM partners. But it does seem until a new architecture comes out. You’ll never be safe online. Fingers crossed you don’t get cyber attacked. The safest thing to do is have no money in any account, then that way when it enevitable happens they can’t get much..
Richard, I'm pretty sure that John isn't upset about the "Time to display list of operating systems" setting (which by default doesn't get displayed unless you know how to configure this). John is doubtless annoyed by what happens AFTER logging in to Windows, but I suppose that he really should clarify precisely when that delay of 103 seconds happens. Richard, I'm pretty sure that John isn't upset about the "Time to display list of operating systems" setting (which by default doesn't get displayed unless you know how to configure this). John is doubtless annoyed by what happens AFTER logging in to Windows, but I suppose that he really should clarify precisely when that delay of 103 seconds happens. Doesn't download, says files are corrupt obtain new copy of files.. I know, after visiting this site for many years, that many will go ahead and download / use this and most of those will not have any catastrophic effects ........ at least at first. But this type of program is all but guaranteed to EVENTUALLY brick your system eventually. A cleaning with Ccleaner once a week or so is all the average user needs to keep their system humming along. And that's just if you're lazy as it does nothing YOU can't do with a few minutes of your time. I urge everyone reading this or thinking about using this piece of software to take the few minutes of your time it takes to learn HOW to do this stuff yourself. Its not hard and gives you much more control over what happens to your machine. Plus as an added side benefit, the confidence you get by being the master of your machine is priceless. As others have mentioned, this type of program can be very dangerous to your system at best and total snake oil at worst. 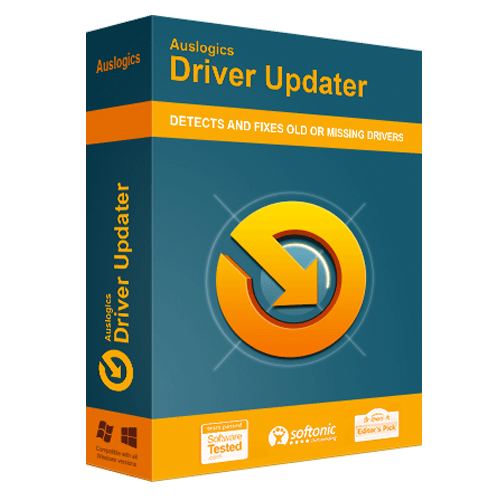 Now Auslogics DOES make some very decent software, unfortunately this is not in that category. Over and above the fact that in the last few years their nag screens and spam have gotten totally out of hand is that THIS type of program is totally unneeded and potentially can make your machine worse. As MikeR mentioned, if you have a slow machine there are other MUCH MORE safe ways to "speed it up". I urge you to look for a reputable forum for your particular system , (tenforums, sevenforums are both excellent places to go as well as toms hardware among others)(I'm not going to link to them but urge you to visit if you feel the need) I know, after visiting this site for many years, that many will go ahead and download / use this and most of those will not have any catastrophic effects ........ at least at first. But this type of program is all but guaranteed to EVENTUALLY brick your system eventually. A cleaning with Ccleaner once a week or so is all the average user needs to keep their system humming along. And that's just if you're lazy as it does nothing YOU can't do with a few minutes of your time. I urge everyone reading this or thinking about using this piece of software to take the few minutes of your time it takes to learn HOW to do this stuff yourself. Its not hard and gives you much more control over what happens to your machine. Plus as an added side benefit, the confidence you get by being the master of your machine is priceless. indianacarnie, You are right on the money with that comment. I just hope, the novice, heeds the warning. indianacarnie, You are right on the money with that comment. I just hope, the novice, heeds the warning. Thank you for your useful and very informative comment. I will certainly take heed of your advice. indianacarnie, Registry cleaners are the Anathema of P.C. maint. tools never use that part, one mistake is all it takes. As long as I don't let any maint. tool mess with my registry it does fine. indianacarnie, Couldn't agree more with you. I've never seen the need to install anything like these programs on any of my PCs as Windows has a cleaner and defrag software built in to the OS and it doesn't touch the registry files. Registry files are very small and take up next to no space and redundant registry files are simply ignored if they don't point to anything. Cleaning the registry is both unnecessary and potentially dangerous unless you know what you are doing. Software like this are simply cash cows for the developer, if I had a £1 for every PC problem I've ever fixed as a result of some would be geek messing around with the registry I wouldn't be here writing this, I'd be on my own private tropical island. MOV, Good answer. I am familiar with how different defrags don't like the way others optimise and want to "fix". This developer is not alone in giving away out-dated software as sell-ups to current versions. Its nag screens have, however, been the most irritatingly intrusive. Unless its sales tactics have changed, then taking up the Boost Speed 9 offer today -- a version that, contrary to the information given on this page, is not available at $59.95 -- will result in constant nagging to buy version 10 . . . because, as Auslogics will repeatedly assert, Boost Speed 10 is superior. Leaving aside the issue as to why anyone would want to deploy inferior software on the delicate task of improving a computer's performance, this type of software -- whether from this developer or not -- is high-risk stuff. "How BoostSpeed works: DIAGNOSES your Windows system. Since diagnosis is half the cure"
but conspicuously omits the word "accurate". Accurate diagnosis. Because diagnosis that isn't accurate is less a 50% cure as a potential 100% disaster. Time after time I encounter friends and family who have happily entrusted perfectly good home computers to the diagnostics of so-called optimization software, only to have those computers rendered unusable. I doubt I'm alone in that experience. Every computer is as individual, and darn near as complex, as its owner. No one-diagnosis-fits-all software can cope with that complexity. If your computer is running OK, then leave it alone. If it isn't, and you know enough to involve yourself in an attempt to sort it out, then use any of the Internet forums where expert help is freely available -- or pay your local PC repair guy to put things right. Thanks, GOTD, but no thanks. This developer is not alone in giving away out-dated software as sell-ups to current versions. Its nag screens have, however, been the most irritatingly intrusive. Unless its sales tactics have changed, then taking up the Boost Speed 9 offer today -- a version that, contrary to the information given on this page, is <b>not</b> available at $59.95 -- will result in constant nagging to buy version 10 . . . because, as Auslogics will repeatedly assert, Boost Speed 10 is superior. Leaving aside the issue as to why anyone would want to deploy inferior software on the delicate task of improving a computer's performance, this type of software -- whether from this developer or not -- is high-risk stuff. Auslogics says in its blurb on this page: <i>"How BoostSpeed works: DIAGNOSES your Windows system. Since diagnosis is half the cure"</i> but conspicuously omits the word <b>"accurate".</b> <i>Accurate</i> diagnosis. Because diagnosis that isn't accurate is less a 50% cure as a potential 100% disaster. Time after time I encounter friends and family who have happily entrusted perfectly good home computers to the diagnostics of so-called optimization software, only to have those computers rendered unusable. I doubt I'm alone in that experience. Every computer is as individual, and darn near as complex, as its owner. No <i>one-diagnosis-fits-all</i> software can cope with that complexity. <b>If your computer is running OK, then leave it alone.</b> If it isn't, and you know enough to involve yourself in an attempt to sort it out, then use any of the Internet forums where expert help is freely available -- or pay your local PC repair guy to put things right. Thanks, GOTD, but no thanks. MikeR, I couldn't agree more. As usual, your comments hits the nail precisely. Keep up the good work, and THANKS. MikeR, I disagree. It is a good product that I have been using for years. OK, it is last years version but is nonetheless excellent. The nag screen you refer to is a small popup that reminds you there is an update. Not really that annoying to be honest. What really matters is how good is the software and from someone who actually uses it I can easily recommend it. I'd rather trust MikeR with his very insightful helpful comment. Tinkering with a well performing system can lead to a disaster. As the saying goes: if it ain't broke, don't fix it. MikeR, do as I do, leave the maintenance to the "Maintenance Center" of Windows. When your PC has nothing to do, it starts the "Maintenance Center" of Windows. You can see that, with me, the white flag in the lower right-hand corner in "the alternative starting bar" where a clock is visible. Also set to a certain hour. Installed successfully on Windows 10-64 only after temporarily disabling Malwarebytes.